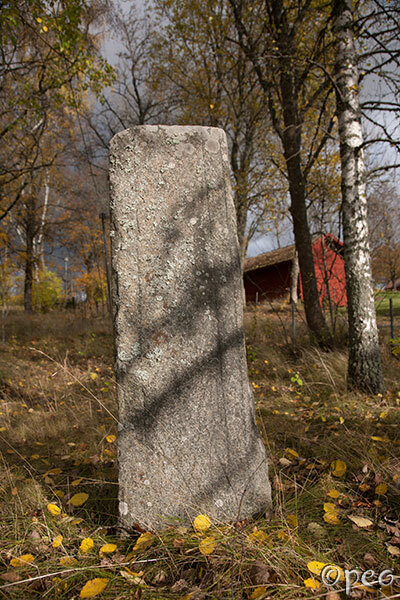 You'll find this rune stone in the garden of Långtora vicarage. It seems like the stone was not finished. The edging where the runes are carved is there, but no runes, and at the bottom there's a serpant. For a close-up : point at the picture.